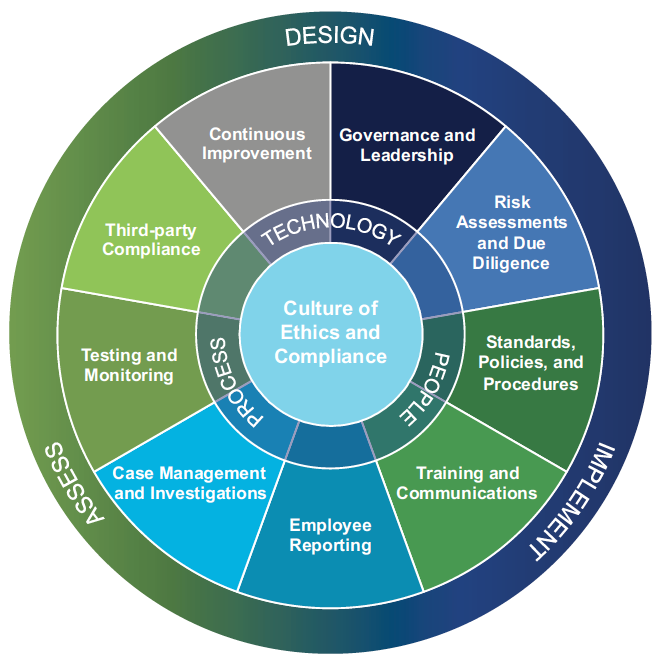 What is the importance of corporate culture in compliance management? The lessons learned from scandals and organizational crises that trace back to the early 2000s make one thing clear. Without an ethical and compliant culture, organizations will be at risk. More and more, culture is moving from a lofty, “squishy” concept to something that should be defined, measured and improved. Strong cultures have many elements. A high level of agreement about what is valued and a high level of intensity with regard to those values. In the long run, a positive culture of integrity is the foundation for an effective ethics and compliance program. When properly embedded into an organization, it can create a competitive advantage and serve as a valuable organizational asset. For many employees, a job is a job. They arrive for their shift, go through the motions. Then, they put in the work, satisfy the requirements, and clock out. Repeat the following day. For other employees, going through the motions isn’t enough. Workplace fulfillment goes beyond liking what you do. For those “other” employees, workplace fulfillment is about making their mark. They believe in their company’s mission, and being part of a workplace that supports its employees. It should recognize their potential, and reward them for a job well done. Employers have to find a strong foundation to build up from in order to appeal to the masses. That can be done in two interconnected ways: culture and compliance. And in the end, you build a culture of compliance. The workplace environment holds a high impact over employees. Productivity and engagement are at stake, so business leaders are expected to ensure that their company is providing employees with the bells and whistles. In that respect, however, there should be a main focus. People are happy and engaged at work when they are inspired. Understanding employee career motivations and aspirations is key to creating a high performance that motivates individuals to do their best work. Research conducted by the Right Management’s Global Career Aspiration survey revealed that 45% of employees named work-life balance as their highest career aspiration, while only 17% ranked being the best at what they do as their top career aspiration. The survey findings go on to reveal that 53% of employees state that respect for their knowledge and experience is a top expectation for leadership within the company, followed by mutual trust (51%) and transparency (37%). The same study revealed that 75% of employees do not feel engaged at work, which should be motivation for employers to rethink how they can incite individuals to meet performance goals—especially when only 1 in 10 employees defined workplace success as high performance. If that’s not the end goal for 9 out of 10 employees, what is? And outside of company culture, how can employers ensure their employees are happy and productive? A strong culture isn’t just encouraged, it’s necessary for a company’s success. The workforce is filled to the brim with diverse employees. Each want, expect, and aspire for something different in their professional career. In order to appeal to as many employees as possible, employers should consider what their employees want, what makes them satisfied with their role, and what gets them motivated to do good work. This helps build to a culture of compliance. Previous PostPrevious How to reduce the reaction time to risk?